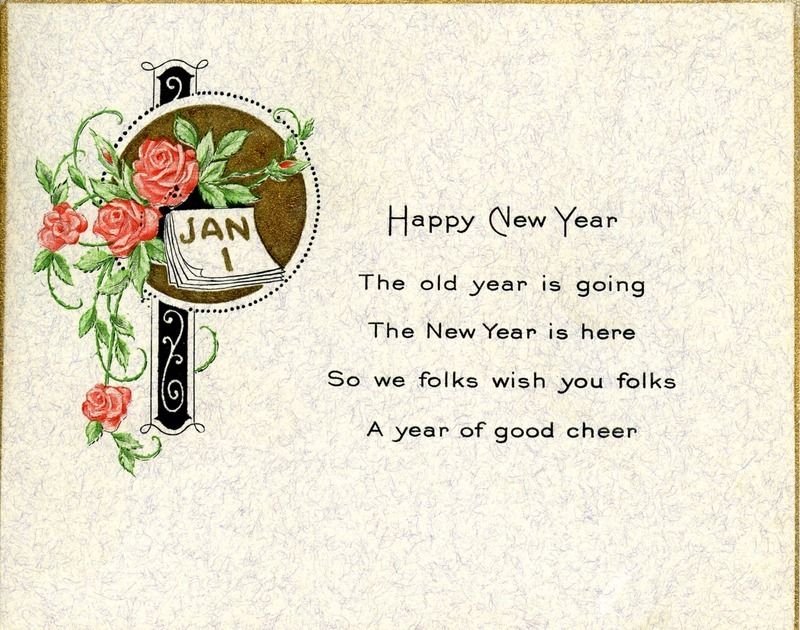 Author thanks Miss Berry for the box of cotton and sends a Happy New Year Card. 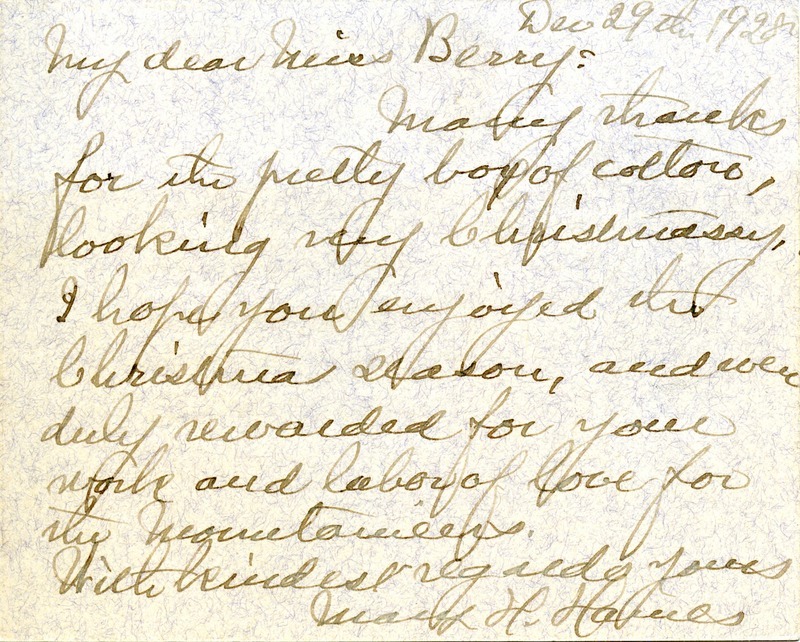 Macy H. Hareels, “Note to Miss Berry from Macy H. Hareels.” Martha Berry Digital Archive. Eds. Schlitz, Stephanie A., Chelsea Risley, Alan Henderson, et al. Mount Berry: Berry College, 2012. accessed April 26, 2019, https://mbda.berry.edu/items/show/10133.